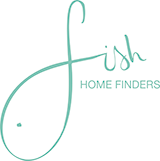 Fish Home Finders offer a professional but personal service designed to provide all the support you need to meet your individual property search requirements and budget. We are experienced professionals you can trust with expertise in property sales and rentals, law (including conveyancing), project management, negotiating and customer service, with individual private clients as well as large international companies. We are full members of the Association of Relocation Professionals (ARP), the recognised professional body for relocation providers in the UK and overseas and are European Academy of Relocation Professionals (EARP) qualified. Fish Home Finders are registered with The Property Ombudsman OFT Approved Estate Agents Redress Scheme under the Consumer, Estate Agents and redress Act 2007. Fish Home Finders have been nationally recognised; in 2013 we were awarded ‘ARP Property Finder of The Year‘ and ‘Highly Commended: Best Property Finder, West Midlands’ at the UK Property Awards in 2011. We are a completely independent home search company. We work for you, the buyer and are not affiliated to any estate agents whose job it is to represent the seller of a property. As relocation specialists, we don’t compete with local estate agents, indeed they are our valued partners who appreciate our clients are committed buyers. We are able to provide unbiased advice and guidance about your buying or renting opportunities. We have extensive local knowledge of home buying, renting and relocating company employees within Central England. Having lived in the area for over 25 years we know the desirable locations, schools and other services and amenities. Our network of estate agents, letting agents and local contacts ensure that we are ideally placed to search for and find suitable properties for you at the earliest opportunity. Indeed, we frequently hear of property before it comes onto the open market, so you stay one step ahead of the competition. As relocation specialists our market knowledge means that we know the real value of any given property. Combined with our experience and expertise in negotiating, you can rest assured that we’ll achieve the best possible price for your property. Whether you are an individual, couple or family, we completely understand how disruptive and stressful finding a new home or moving to a new unfamiliar area can be. We are committed to providing all our clients with a professional, but equally importantly, very personal and caring property search service to meet your individual needs. Our service doesn’t stop when you find the right property. We can also help with all aspects of settling-in. For examples of how we can help, please see our case studies and testimonials. To discuss your personal home search requirements please contact us on 01789 491626, or complete our simple email enquiry form.